I am professor Ikuo Tooyam in Molecular Neuroscience Research Center (MNRC). 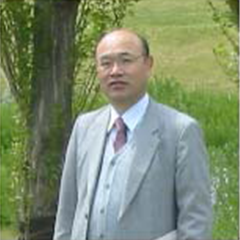 From April 2010, I succeeded the Director of MNRC from the former director Dr. Hiroshi Kimura. The MNRC was renewed as the Brain Disease Research Organization – Molecular Neuroscience Research Center (MNRC) in April 1st, 2016. The center composed of Basic Neuroscience Research Unit (Professor Masaki Nishimura), Translational Research Unit (Professor Ikuo Tooyama) and Clinical Neuroscience Research Unit (Professor Makoto Urushitani), aims to integrate basic and clinical medicine. The overall aim of the MNRC is to understand the molecular basis of neural functions and pathological processes of neurological diseases such as Alzheimer’s disease, Parkinson’s disease, and amyotrophic lateral sclerosis. On the basis of our findings thus far, we have developed diagnostic and therapeutic methods for neurological disorders. We also collaborate with the Research Center for Animal Life Science as well as basic and clinical departments at Shiga University of Medical Science and with other laboratories inside and outside Japan. I hope that the MNRC can contributes to solve for intractable neurological diseases such as demntia and to change the community and the world for the better.